Addressing the results of its 2011 Mercer Workplace Survey which found that most employees are feeling a higher level of accountability for their retirement planning, benefits administrator Mercer has announced its new website “My Retirement Workshop” planning and education program aimed at helping its clients assess and better maintain their retirement plans. The company hopes to empower employees who are increasing their retirement planning activities in the face of a growing pessimism over the current economic outlook. The online program provides a self-assessment tool that offers tips and advice on future planning actions, a collection of interactive projects that teach strategies for facing common planning challenges, retirement calculators and worksheets, and a library of videos, podcasts, and articles developed by retirement plan professionals. Users may also participate in open discussion boards where peers can communicate and share personal stories and advice from their own experiences. 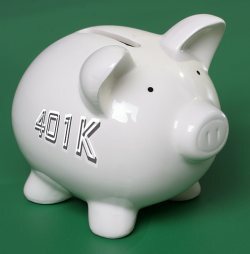 My Retirement Workshop is accessible through individual Mercer-administered retirement plan websites or publicly at MyRetirementWorkshop.com.